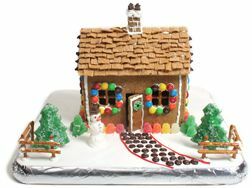 Made from cast iron, this template enables the various pieces of a Gingerbread House to be formed from dough and baked so they can be assembled into the traditional Gingerbread House. 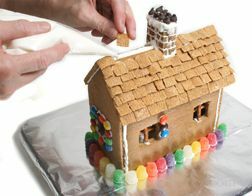 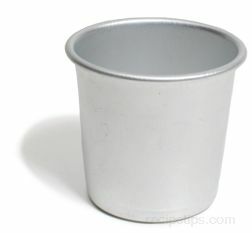 Typically, the Gingerbread House Mold will contain sections for the roof, the sides, the ends, and the chimney. 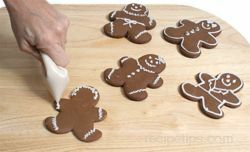 However, some Gingerbread Molds include gingerbread people and trees that can be baked from the Mold. 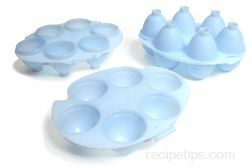 The Gingerbread House Mold serves as a base for a variety of different decorating themes to be enjoyed not only as a decoration but also as a edible treat during the celebrations of the holidays.